With the help of the adjustable strength and length of gripping, you can effortlessly improve the efficiency of your work by virtually removing the chance of destroying the line and amplifying the stripping process. The jaws are going to clamp down automatically selecting the right tension to hold the wire without causing any kind of damage to it. It might take some time to get used to regulating the strength of stripping. Stripping and cutting the wires can be a complicated and multifaceted job but, with the help of this universal wire stripper from DRILLPRO, you will be able to do that without even breaking a sweat thanks to its impeccable performance and user-friendly structure. This device features overall heat treatment, considerable hardness, sharp edges, and a strong shear force. 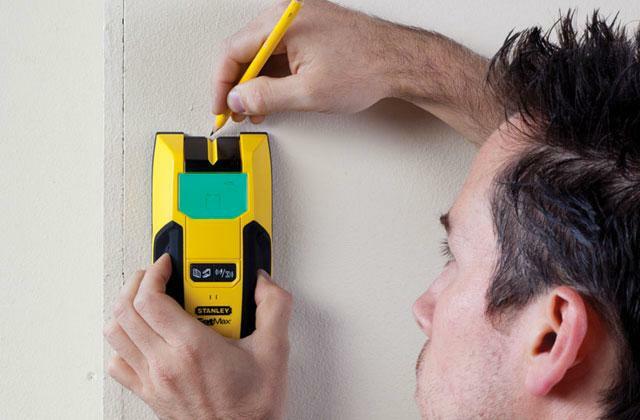 On top of that, the precise stripping hole design does an exceptional job delivering neat incision and produces virtually no damage to the core during the whole stripping process. 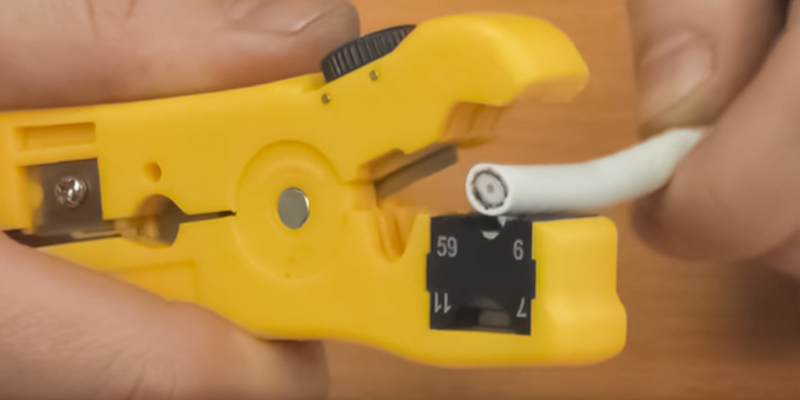 This superior tool can be used to strip and cut wire equally. Only one of the handles has a rubber coating. TOOLTOO Automatic Wire Stripper Professional will be a perfect fit for those customers that aren't interested in the tools made for amateurs and want the kind of device that will be able to handle the toughest assignments. 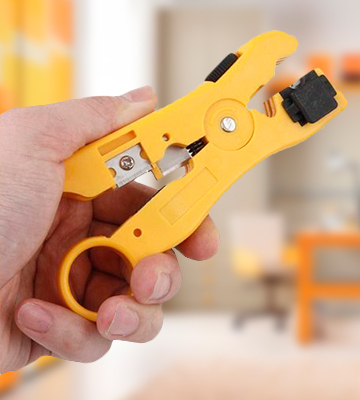 The wire stripper incorporates an ergonomic non-slip technology that reduces the level of fatigue while you work and ensures that you aren't going to drop or unintentionally tilt your device. This stripping tool also comes equipped with a locking mechanism and a spring-loaded switch that ensure durability and solid performance. 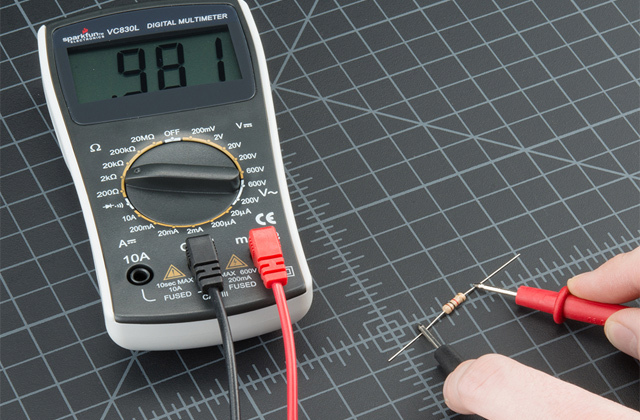 Isn't suitable for wires with a wire gauge lesser than 0.3 mm² (22 AWG). KKmoon TU-2021 is not the most impressive option on the market in terms of performance but it will be an absolute steal for those potential buyers that look for convenience and comfort above anything else. The device features a metal body that is covered with a powder-coated steel frame making it virtually immune to corrosion and any form of physical damage. Furthermore, the model comes with a self-adjusting mechanism and adjustment dial. The features are crucial when it comes to handling different cable insulations. The yellow painting wears off after a short period of time. 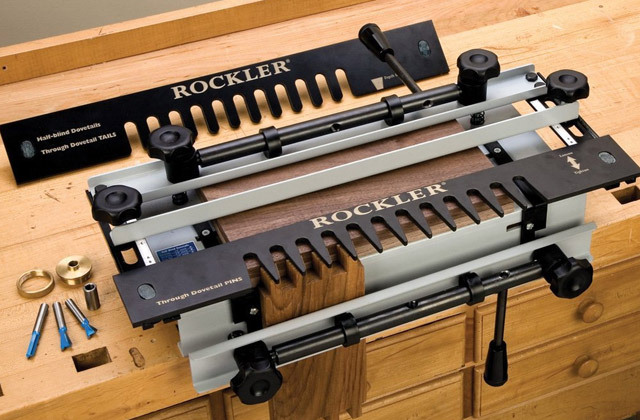 Rolson Tools 20857 is the kind of automatic wire stripper that we can wholeheartedly recommend to the type of individuals that are interested in a reliable and durable tool to last them for years to come. 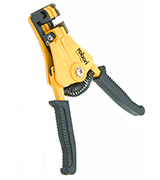 The model comes equipped with a coaxial cable stripper, round cable stripper, a cutter, and a flat cable stripper. Furthermore, it includes an adjustable stripping blade that will prove to be crucial when it comes to handling different insulation thickness and preventing the damage of shielding and conductors. The handles are made of smooth plastic so they can get slippery at times. While we couldn't in good fortune describe CSTOM 200359 as a stylish tool, if you want a wire cutter that will be able to deal with virtually every single cable and wire there is, this is the one to look out for. 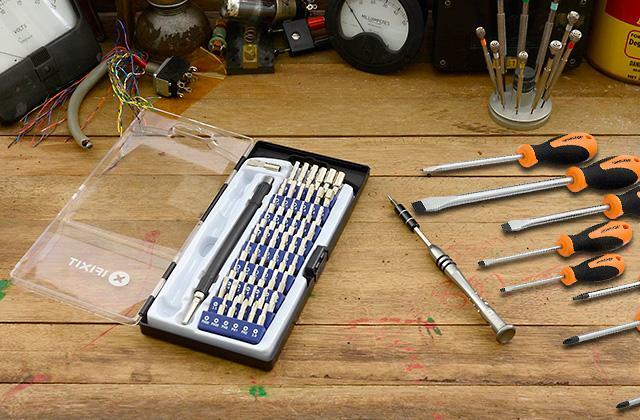 From time to time, you might come across a tool which you'd be ill-advised not to purchase. Even if you do not really have any use for it right now or you might not necessarily know what this appliance is even supposed to do in the first place, the kind of quality it offers wouldn't justify walking away from such a steal. 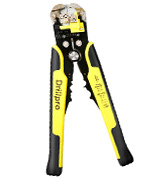 And as far as the latest wire strippers go, this one from DRILLPRO with a painfully complicated name and part number DRILLPRO DRILLPRONasork5391 is exactly one of those tools. Pointing out the biggest selling point of this model would be quite a fit to accomplish since, essentially, the biggest advantage of this model is that it doesn't really have any major downsides. First of all, the device is capable of stripping wires from 24 to 10 AWG (0.2~5.3mm²). 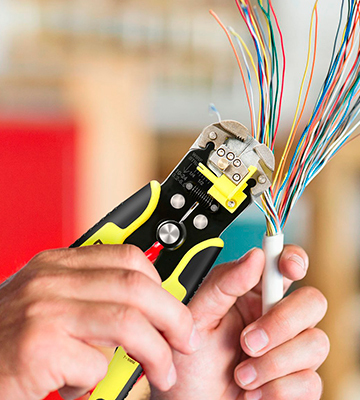 Moreover, you can utilise this appliance to cut cables and crimp insulated terminals from 10 to 22AW (0.5-6.00mm), and non-insulated terminals that feature 12 to 10AWG (4.0-6.0mm) and 22-14AWG (0.5-2.5mm). 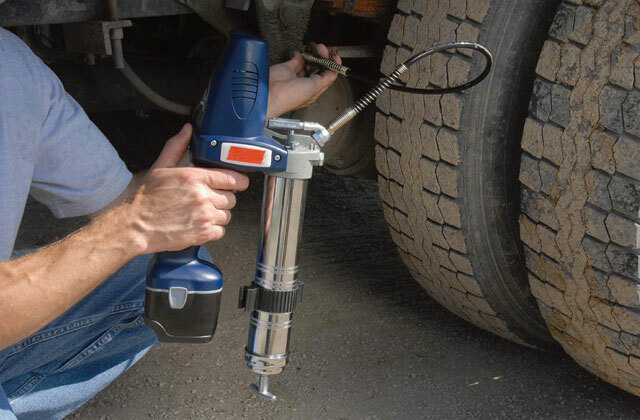 Moreover, the tool is capable of handling auto ignition terminals up to 7-8mm. 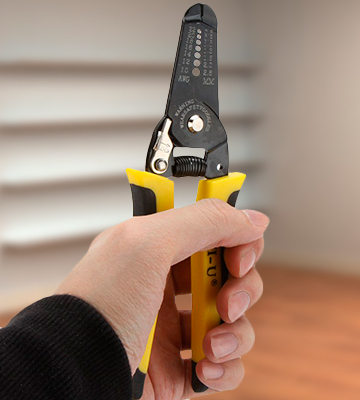 As well as wire stripping, this model will be simply perfect for trimming and crimping wires. With the help of the adjustable strength and length of gripping, you can effortlessly improve the efficiency of your work by virtually removing the chance of destroying the line and amplifying the stripping process. The only thing you are required to do is to just put the wire between the two machined jaws at the head of the tool and squeeze. The jaws are going to clamp down automatically selecting the right tension to hold the wire without causing any kind of damage to it. 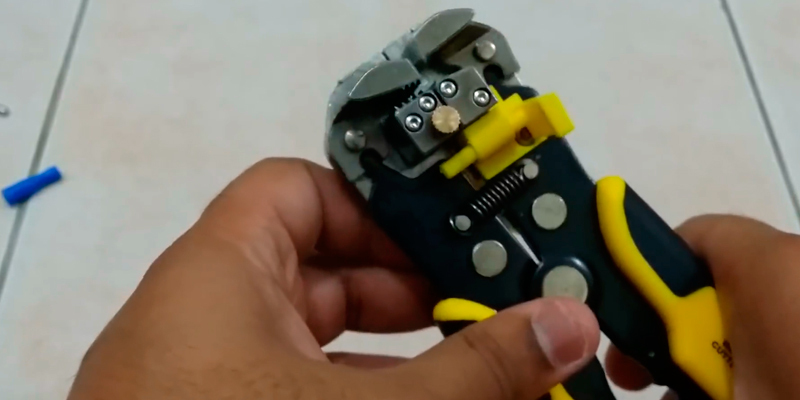 Stripping and cutting the wires can be a complicated and multifaceted job but, with the help of this universal wire stripper from DRILLPRO, you'll be able to do that without breaking a sweat. Some problems are not particularly complex by their very nature and, in turn, require ordinary solutions that can be arranged by utilising simple tools. But most people probably wouldn't put the type of tasks that have anything even remotely to do with wires in that list of easy and straightforward problems. Which is exactly why a professional piece of wire stripping equipment is required in order to be able to handle these kinds of jobs. 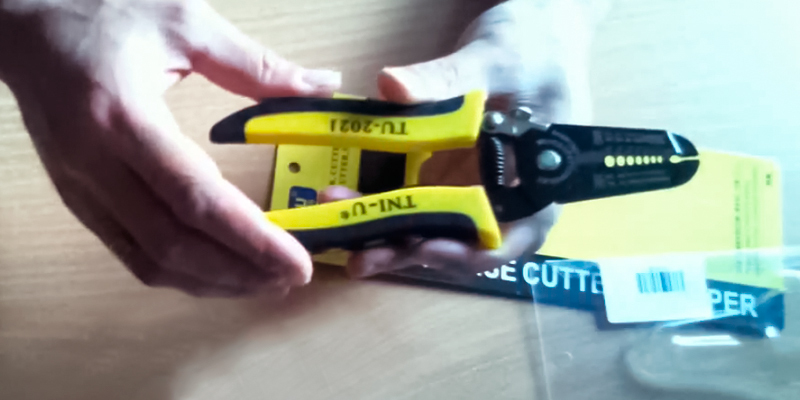 And that is exactly where TOOLTOO Automatic Wire Stripper Professional comes in. 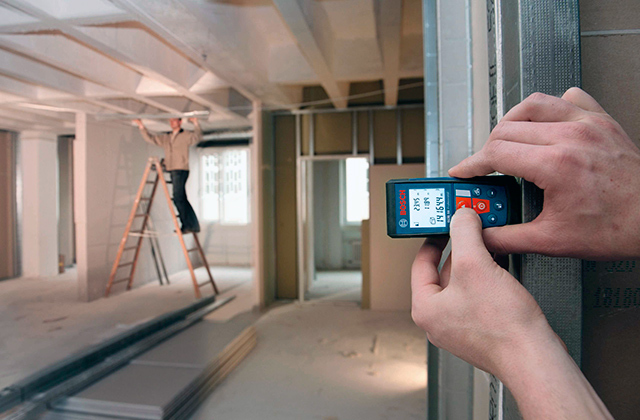 The word professional in the name of this device implies a certain level of quality and the company absolutely delivers in every aspect that counts in this regard. To start with, the tool is comprised of high-quality alloy steel so the durability is not going to be a question in need of answering. 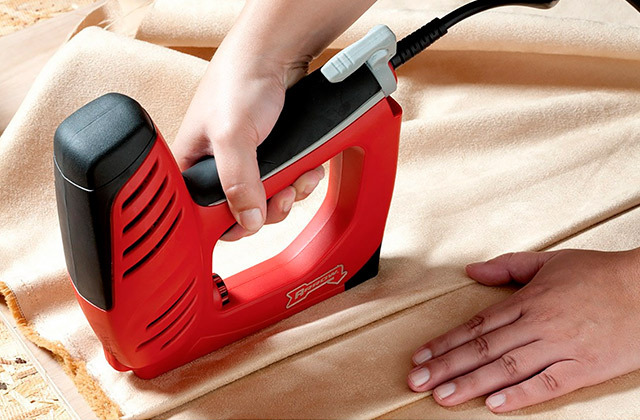 On top of that, the wire cutter has overall heat treatment, considerable hardness, sharp edges, and a strong shear force, providing the kind of sturdiness that you ought to expect out of a professional grade tool. 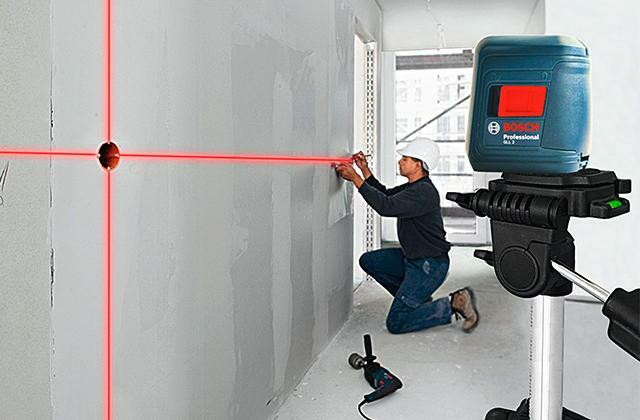 But the biggest advantage of this device that makes it stand out from the crowd of tools aimed towards amateurs is the precise stripping hole design that does an exceptional job delivering neat incision and produces virtually no damage to the core during the whole stripping process. 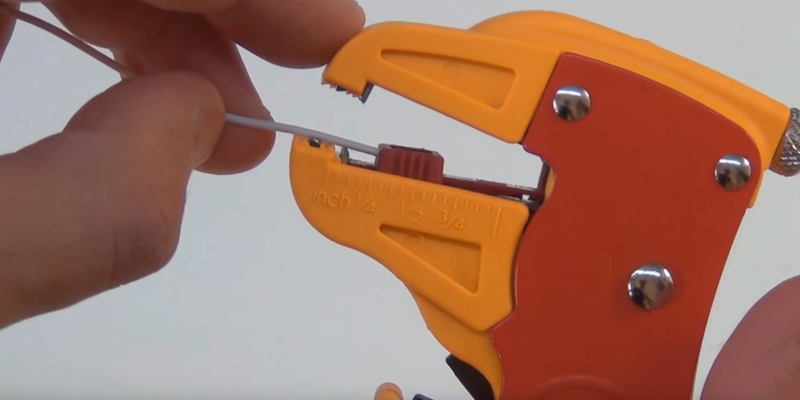 This superior tool can be used to strip and cut wire equally. Furthermore, it is equipped with adjustable block and button for convenient use. The only real disadvantage of this model is the fact that one of the handles does not feature rubber coating which can cause a certain amount of discomfort to the less experienced users. But, other than that, TOOLTOO Automatic Wire Stripper Professional will be a perfect fit for those customers that aren't interested in the tools made for amateurs and want the kind of device that will be able to handle the toughest assignments. Dealing with wires is not exactly one of those jobs that you can take lightly. The entire process can often prove to be quite arduous and burdensome so looking for a wire stripper, it is only natural to put one of the highest priorities towards looking for the kind of tool that would be first and foremost comfortable and easy to operate. While you obviously cannot forego the performance aspect of any device, finding the type of model that is not going to wear you out and cause a considerable amount of fatigue can be just as important. Or, as an alternative, you can outsource this job to somebody more experienced in the field and there's a good chance they will suggest KKmoon TU-2021 as one of the most convenient stripping tools on the market. 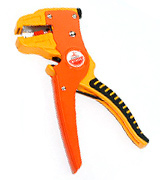 There are a few possible reasons but the most important one would have to be the fact that this small wire stripper was designed with an optimum handle position in mind, including a portable and compact structure, and incorporating an ergonomic non-slip technology that reduces the level of fatigue while you work and ensures that you aren't going to drop or unintentionally tilt your device in an undesired way. Despite the compact design, this stripping tool comes equipped with a locking mechanism and a spring-loaded switch that ensure durability and solid performance. 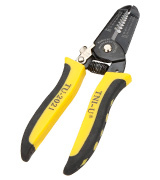 These mini stripping pliers feature a considerable range of application with wire gauges starting at 0.3 mm² and ending at 5.3mm². And that's about all you need from a tool like that. KKmoon TU-2021 is not the most impressive option on the market in terms of performance but it will be an absolute steal for those potential buyers that look for convenience above anything else. 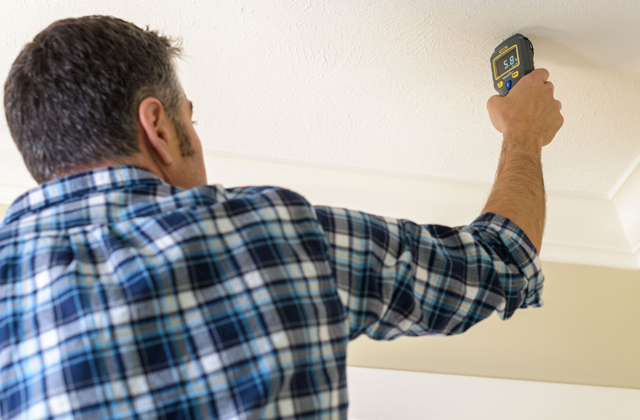 Cutting the cables, as well as stripping the wires, and dealing with any form of insulation, may often present a considerable challenge not just in terms of skill but also when it comes to avoiding a certain amount of danger that these activities often entail. So, looking for cable strippers, as well as wire cutters, it is a question of utmost importance to choose the one that comes from a well-respected company that managed to make a name for themselves in this particular business. And when it comes to the United Kingdom, there isn't really a whole lot of them that could compete with Rolson Tools. 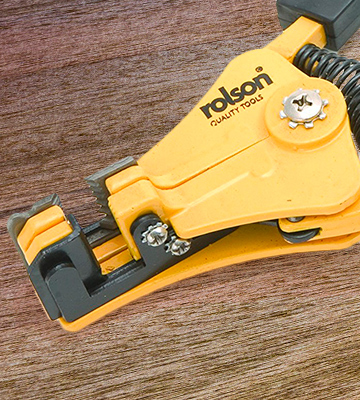 Rolson Tools 20857 is an automatic wire stripper whose biggest strength has to be the fact that this is one of the most durable and reliable options out there. And the biggest secret behind its durability is the metal body that is covered with a powder-coated steel frame making it virtually immune to corrosion and any form of physical damage. The model comes with a self-adjusting mechanism and adjustment dial. The importance of these features wouldn't be easy to overestimate given how indispensable they are when it comes to handling different cable insulations. The adjustable stripping length guide provides consistency of operation and clearly marked metric sizes absolutely come in handy as far as calculating and figuring out where to make that precise cut goes. On top of everything else, the model includes non-slip handles so you wouldn't have to worry about the form and the power of your grip. 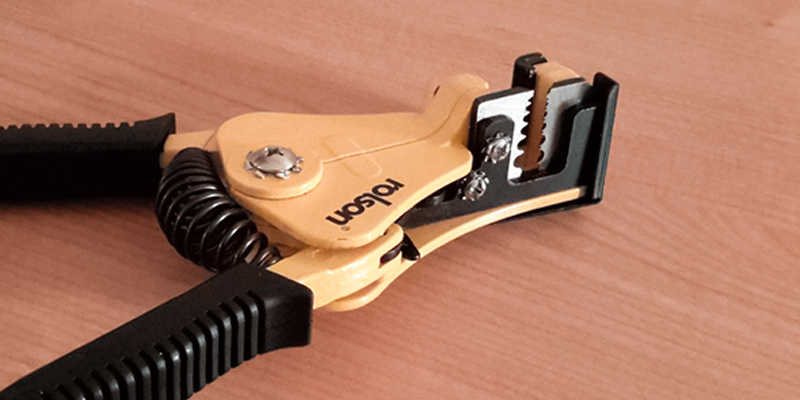 To sum it up, Rolson Tools 20857 is the kind of automatic wire stripper that we can wholeheartedly recommend to the type of individuals that are interested in a reliable and durable tool to last them for years to come. If you're looking for the kind of tool that doesn't put too much stock in design and visual aspects and focuses solely on handling as many different types of cables and wires as possible, there are very few options out there that could possibly hope to rival CSTOM 200359. The model in question is what is referred to as a gauged stripper but trying to categorise this versatile tool wouldn't necessarily be the wisest thing in the world to do. Though the first thing we would like to touch upon would have to be the size and the weight of this device. 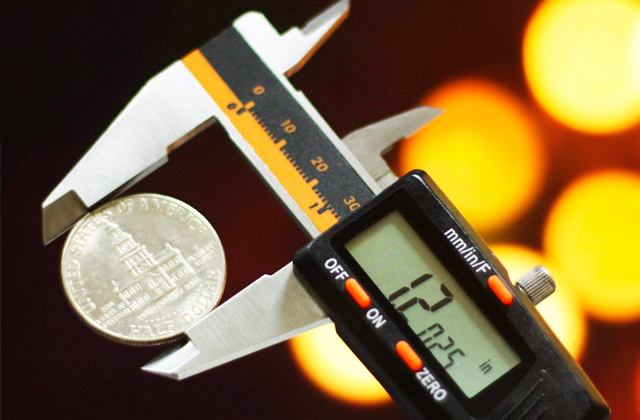 With no more than 14 x 9.4 x 2.4 centimetres in overall dimensions and 65 grams of weight, this model, despite not necessarily being the most comfortable tool out there, will present no challenges when it comes to operating it for an extended period of time. But, going back to the versatility aspect of this household appliance, we would be remiss not to mention that it comes equipped with a coaxial cable stripper, round cable stripper, a cutter, and a flat cable stripper. Furthermore, it includes an adjustable stripping blade that will prove to be crucial when it comes to handling different insulation thickness and preventing the damage of shielding and conductors. On top of that, the cassette is reversible, with one side being available for RG 59/6 and another side for RG 7/11. The aforementioned cassettes allow the wire cutter to strip outer jacket of UTP and STP cables, CAT5 round telephone cables, and flat telephone cables. Even though we couldn't in good fortune describe CSTOM 200359 as a stylish tool but if you want a wire cutter that will be able to deal with virtually every single cable and wire there is, this is the one to look out for. 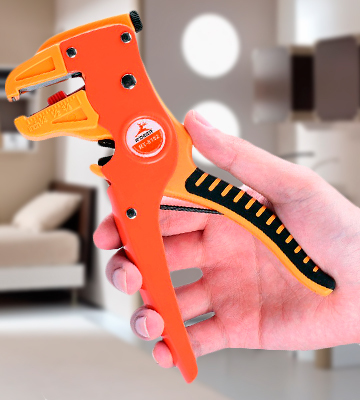 This hand tool is designed for removing insulation sheaths from cables. In most situations, this is done in order to get bare strands before setting them in terminal boxes and crimped joints. 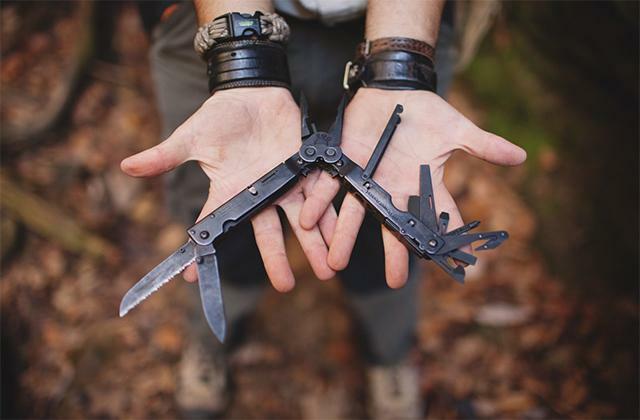 Generally, they look very much like scissors but feature special sharpened notches of varying size which allows a user to match it with the size of a wire. You place a wire in the corresponding slot and press grips together to make incisions in the insulation without damaging the strands that it covers. 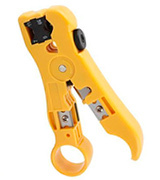 Some of the wire strippers may or may not feature crimping jaws for fixing strands in terminals and cable jacks. They also come in various shapes and have different capabilities. Some of them, for example, will be suitable only for the solid wires, while others will let you work with the stranded ones. The choice is truly vast. To help you pick the right tool, we've rounded up 5 different models of strippers for wires and covered their key specifications. 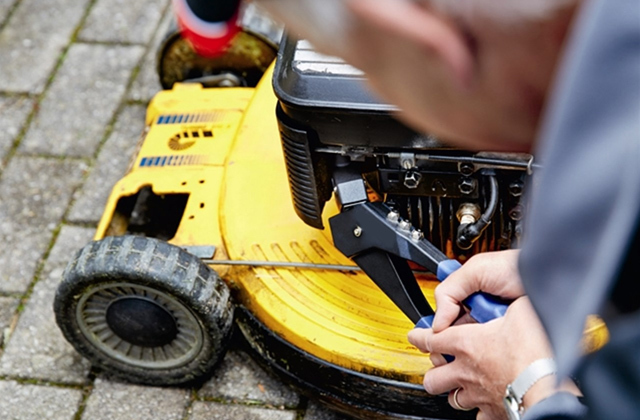 Before we start with the wire cutters, we'd like to bring into your view a few more great reviews on hand tools that you may want to keep in your shed which are screwdriver sets and wire cutters, a must-have equipment any electrician should own. So, don't forget to check them out just as well. 1. Guide To Wire Strippers, Boing Boing. June 2, 2014. 2. Lee Wallender How to Use Wire Strippers, The Spruce. May 11, 2016. 3. Wire stripper, Wikipedia. March 8, 2017. 4. Stripping Wire, The Family Handyman. 5. Paul Smith Working with Wire, SparkFun Electronics.